Tomahawk solves problems and adds value. 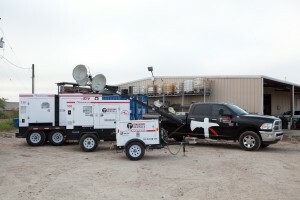 There are literally thousands of generators companies that litter the market today. One company actually cuts through the clutter and provides what your business needs beyond the norm. Tomahawk Rentals is a solutions partner. We work with you to learn your business and provide you with solutions that are effective, efficient and add value to what your business does. Why have so many lowered their expectations of what a vendor is? We work with great companies, and our expectation is that while our competitors may be vendors, we’re your company’s solutions partner. We service the roughest, most extreme environments, and we go places with technology that no other company has gone before. Learn more about us, and let us help you by putting us to work to solve problems and increase efficiencies for your business.